Katrina is the Office Manager at SERVPRO of Montrose/Telluride. SERVPRO Employee Certification Training Program (ECTP) Certified. She is a life long resident of Montrose, CO. She has been with SERVPRO of Montrose/Telluride since 2014. When a customer calls for service Katrina will be the initial contact and provides the production crew with job information and details. Nick is a SERVPRO Crew Chief. He is certified (ECTP) in water, fire and mold damage restoration. Also IICRC WRT and ASD certified. Nick was born and raised in Montrose, and has extensive roots in the area. He is a devoted family man who enjoys hiking and exploring the mountains he calls his backyard. 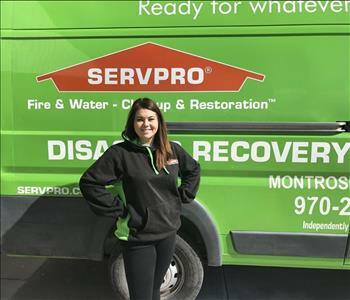 Sara works in our SERVPRO of Montrose/Telluride office as the Jobs File Coordinator. She keeps our job scheduling and paperwork in line. She enjoys shooting sports, fishing, most outdoor activities, hanging out with friends and traveling with them. Besides being a hard worker like the rest of us, Sara enjoys doing the same stuff...that's Colorado for you! Ricky joins the SERVPRO of Montrose / Telluride family as a Crew Chief, with several personal family members, Josh and Daniel. 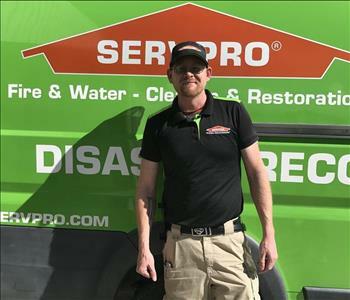 He is training hard and has completed the ECTP--SERVPRO's Employee Certified Training Program for water, fire, and mold damage restoration and remediation. We expect great work from Ricky. He enjoys the great outdoors: fishing, hiking, hunting, playing softball, and being a dad to his two kids. Daniel is a Production Technician at SERVPRO of Montrose / Telluride. He joined us in 2018. Daniel has completed his SERVPRO Employee Certification Training Program (ECTP). He plays softball with his fellow crew members and cousins Ricky and Josh. They work together as a team to satisfy our customers. Daniel enjoys hunting, fishing, hiking and spends most of his downtime with his four kids. Glenn Fluker is a Production Technician. 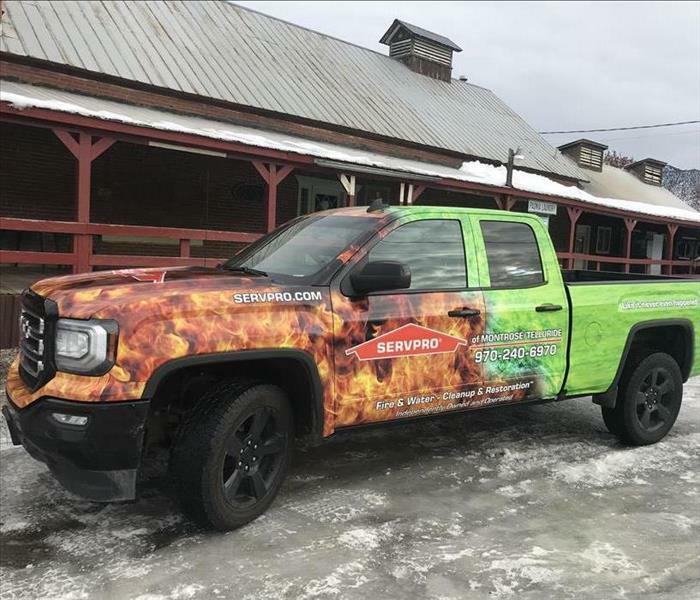 He is SERVPRO Certified in Water, Fire, Mold. He enjoys spending time with his little boy and playing enjoys playing basketball and softball. His favorite NFL team is the Cowboys. He also loves the outdoors. 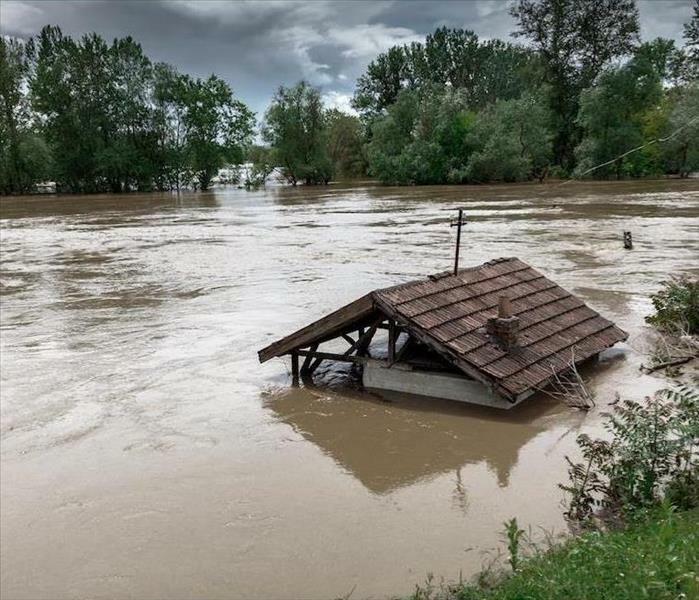 SERVPRO of Montrose / Telluride is capable and ready to remediate your home after damages.